How a nation raised on conquering wilderness came to embrace conservation. For much of American History, wilderness was viewed as an evil wasteland that had to be conquered. Land left untouched by man was described as “deserted,” “savage,” and “barren” -- in short, a waste of divine gifts. But by the end of the 19th century, backlash against a rapidly industrializing society ushered in a new fascination with the natural world. 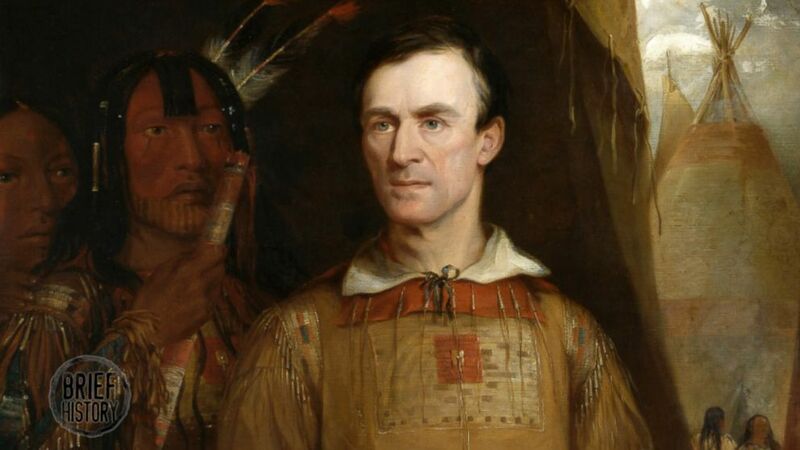 (William Fisk) An 1838 painting depicts George Catlin. A few decades later, in 1872, Catlin’s dream came true when a natural wonderland spanning Wyoming, Montana and Idaho became the world’s first official national park. They called it Yellowstone. 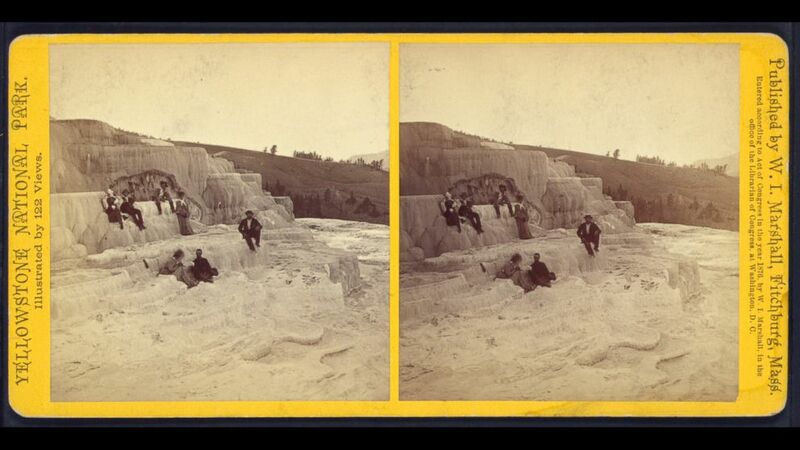 (Library of Congress) Visitors at Mammoth Hot Springs, Yellowstone, in 1876. Further west, in California’s Yosemite Valley, a controversy was brewing. While the area had been deeded to the state in 1864, with portions belonging to the federal government, Muir believed the state-managed areas were being exploited and lobbied Congress for it to become a national park under full federal control. In 1903, Muir convinced President Theodore Roosevelt to join him on a camping trip in Yosemite, and three years later the park was under full federal control. 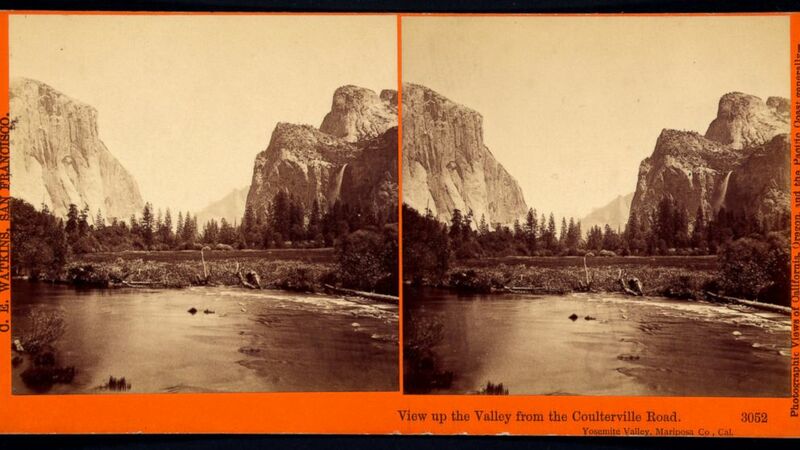 (Library of Congress) View up the valley from the Coulterville Road, Yosemite Valley, Cal. 1861-1873. That same year, Muir tried to save the Hetch Hetchy valley from a proposed dam that would flood the valley to provide water and power to the city of San Francisco. The resulting controversy pitted two schools of American environmentalism against each other: preservationists v. conservationists. Preservationists, led by Muir, believed in maintaining the present condition of natural areas, while conservationists, led by forester George Pinchot, believed in the sustainable management of natural resources. Muir and the preservationists were against the flooding of Hetch Hetchy while Pinchot and the conservationists were for it. 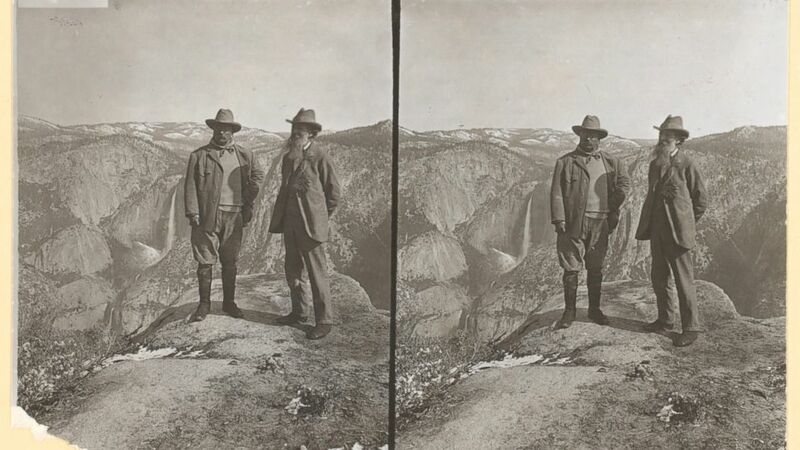 (Library of Congress) Theodore Roosevelt and John Muir on Glacier Point, Yosemite Valley, California, in 1903. When congress decided to go ahead with the proposed dam, flooding the valley Muir called “the holiest temple ever consecrated by the hearts of man,” preservationists were dealt a death blow and conservationism emerged as the country’s prevailing environmental movement. By 1906, Congress helped expand the parks system by passing the Antiquities Act, which granted the president the authority to set aside historic landmarks that already existed on public lands. 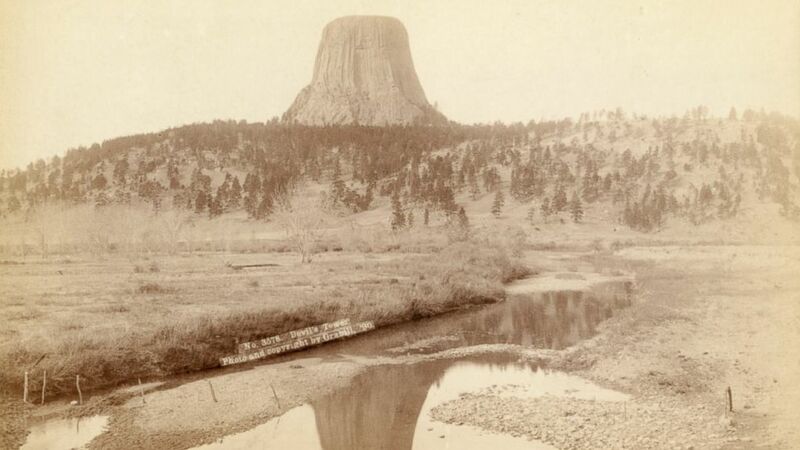 Roosevelt took swift action, proclaiming Wyoming’s Devil’s Tower as the first national monument that year and establishing a tradition that would continue to today. (National Parks Service) Devil's Tower was declared the first National Monument in 1906. For more than 40 years, the nation’s parks were supervised at different times by the Departments of War, Agriculture and the Interior. But President Woodrow Wilson sought to clear the bureaucratic mess and created the National Park Service on August 25, 1916. By 1933, President Franklin Delano Roosevelt further streamlined the agency with Executive Order 6166, which consolidated all the national parks, monuments, memorials and cemeteries into a single national park system. Three decades later, President Lyndon B. Johnson ushered in a new era of America’s conservation, emphasizing a "parks for the people" ideology that sought more publicly accessible parks. In addition to protecting wilderness and historic sites, the Johnson administration created national recreation areas and other urban park sites within a short distance of large cities. Since then, the National Park Service has grown tremendously, boasting over 400 areas, covering 84 million acres across all 50 states. Despite the widespread popularity of the national parks system, some critics argue that establishing national parks falsely divides the world of man from the world nature. William Cronon, a prominent environmental historian at the University of Wisconsin, writes of a "dangerous dualism" leading society to focus its environmental attention solely on iconic wildernesses rather than the far more common, albeit mundane landscapes humans typically inhabit. After all, national parks make up just 4 percent of the land in the United States, according to the Bureau of Land Management. Controversy aside, it's difficult to imagine America without its national parks. From the rivers of grass in the Everglades, to the volcanoes of Hawaii, this unique system shows how far Americans have come in their appreciation for the natural world.